Your search for the perfect cuticle remover is finally over. Cuticle maintenance is a must to keep your fingers tidy or to maintain your nail art. If you're tired of other products that just don't have sharp blades to do the job right, then our cuticle nipper is for you! 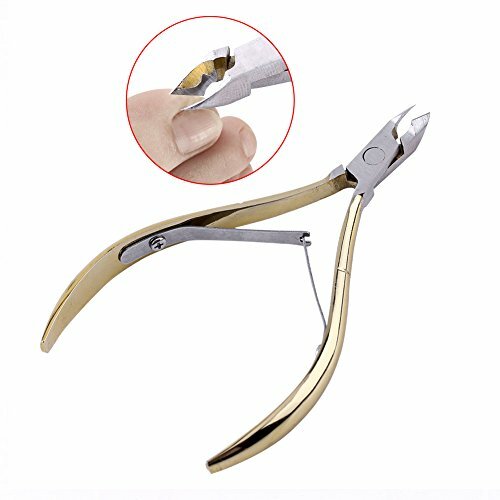 This is an ideal tool for cutting cuticles around your finger nails and toe nails. 1. You can apply the dead cuticle softener around the nail, or you can soak the dead cuticle in warm water to soften it. 2. You can push the dead cuticle around the nail gently with nail pusher, and then cut the dead cuticle. View More In Cuticle Removing Fluids. If you have any questions about this product by Semme, contact us by completing and submitting the form below. If you are looking for a specif part number, please include it with your message.